With Benjamin swimming laps in my bathtub, I walked down the hall to use the other bathroom. I simply wasn't interested in an audience. I no more than closed the door behind me when there was a knock from the other side. "Telegram," Libby said. While attempting to get him settled for "quiet time," Benjamin ran down the plots of all the "Toy Story" movies. He told me, "This boy named Andy has all these toys and he thinks they're just toys, but they're actually REAL. Whenever he leaves his room, the toys all talk and walk around. Isn't that crazy?!" I said that sounded pretty crazy, but maybe it was true. I asked Ben whether he thought his toys all talked and moved whenever he was out of his bedroom. He shook his head and looked at me like I was nuts... but now I see him doing these sideways glances at all of his toys, and he's acting a little skittish. In all the insanity that is my life, I haven't gotten around to posting some photos of our home visit with the Lovely Lucia. When I stopped for a little while late last week, Benjamin and Madeline got to meet their new cousin. All the way over in the car, I went over the rules: "Wash your hands! Don't touch her face! No yelling! Don't whine or beg or make a mess. You cannot hold the baby unless her mom or dad says it's OK, and wait for them to offer-- don't ask. And, if the baby is sleeping, we won't hold her at all... we'll just look." Well, when we arrived, Grandma was holding Lucia, and she immediately got Benjamin situated so he could take a turn. The first thing he told me when we got back in the car: "Mom, even though Lucia was sleeping, I still got to hold her!" Madeline was also thrilled with her cousin-- maybe a little too thrilled. Still, Ted and Kristin have doted on my baby so, I was worried she would be jealous of their baby. But, no, Lucia just became Maddy's new, favorite "doll." Elisabeth is quite ill with a urinary tract infection. It's been more than a year since we took her off all her medications for vesicoureteral reflux, and she'd been doing well. But, Libby started showing troublesome signs earlier in the week, so I checked with her urology office and then took her to our local clinic for a lab test. By then it was late Friday, so we didn't get the positive result and start the antibiotic until this morning. This morning, her fever was 103 degrees and climbing. We spent most of the afternoon trying to bring her down from a high of 104.6. She missed team photos for basketball, as well as her first game. But that didn't make her nearly as sad as missing her cousin's sledding birthday party. Libby was happy to get Sprite on demand, but it wasn't much of a consolation. There's been ongoing communication with a nurse at the hospital... I feel we have a good understanding of what's wrong and what needs to happen for Libby to get better... and the follow-up appointments are already scheduled. Still, it's never any fun to have a sick kid. Libby is so miserable. Please, say an extra prayer. The birth of our niece has been the headline of the week, the month, the year! It is wonderful. I so enjoy seeing my brother and his wife as new parents. I am nostalgic remembering my babies at that teeny-tiny stage. I love welcoming such an incredible, beautiful, healthy member of our family. At the same time, I honor Sophia's mommy and daddy, who, two days after Lucia's birth, met their first daughter and said goodbye in less than an hour's time. I do not know this family, but share their pain through the blogosphere, and hold them up in prayer. I don't know if it's my age and stage in life, or a changing attitude of openness in our society, but it occurs to me I know of more friends who have lost babies-- through miscarriage, stillbirth, genetic disorders or illnesses-- than friends who have all their children with them here on earth. Here in Krinkeland, the matters have not been nearly as momentous as birth or death, but, we have been busy, juggling family time with the demands of the school theater program, and scheduling those dreaded annual visits with specialty doctors for Benjamin and, this year-- just to check-- his sisters, too. All these events make me think about a friend of mine, a mother with young children whose mother-in-law babysits while my friend works part-time. Like many of us, my friend is a worrywart-- constantly warning her kids not to play by the stairs, taking sharp objects from their hands, watching for signs of illness or injury. In those moments, my friend's MIL reminds her, "You know, these children are not yours." True. How irritatingly, agonizingly, painfully true. These are God's children. Born into our arms and into our hearts, for our care... for a very brief period in time. Not my children, but the Lord's. For His glory. All for His love. And, so, I would like to know, where is God to fold all this laundry? Among Benjamin's most favorite things in the world (well, besides his mother and SpongeBob) are Veggie Tales movies and dried mangoes. I remember in the years before I had children, mothers talking about Veggie Tales and me really not getting it. Cartoon vegetables? Who talk?! About GOD?!?! These days, I've memorized the theme song. We're finally working through the no-nap transition, with Ben spending some "quiet time" each afternoon, on the sofa in the den, watching Veggie Tales. But, when I spread the blanket and put in the DVD, Ben always demands, "I need my dried mangoes!" The boy could live on fruit, and asks for it so often I sometimes wonder if he has scurvy. Really, there are worse things he could like. I know even whole, fresh fruits get a bad rap these days as "sugary" or "carbs." But, come on-- what can we eat?! I prefer to focus on the vitamins packed inside fruit, as well as the fiber. Yay, fiber! We all need more fiber. The fruit fetish is a problem for Benjamin, however, as most fruits are not calorie-dense and, of course, they do not contain protein. He is holding steady at 31 pounds and, yes, sports fans, Ben is 4 1/2 years old. So, we continue to push the kinds of foods you all wish you could eat-- butter, whole milk cheese, cream, even fast food. But, once he has eaten the required "big, strong boy foods," as we call them, I answer his produce pleas. Ben loves clementines, and blueberries, and pears, and plums, and applesauce, and canned mixed fruit... but he really loves dried mangoes. I quit buying a lot of dried fruits by the time Benjamin came along, because the older girls are not fans of dried fruit (save raisins,) and it is really sugary, and expensive. I remember his mango epiphany: It was nearly a year ago, while we were visiting our dear friends Erik, Alicia and Annie. Annie is a big dried fruit eater, and got the kids to munch on dehydrated pineapple chunks, banana chips and mango slices. Her mom took us to one of their favorite shops, Brennan's Market. The store sells all kinds of produce, cheeses, and wine. What's not to love?! Alicia bought Ben a whole tub of dried mangoes, and he's been hooked ever since. We don't have a Brennan's where we live. 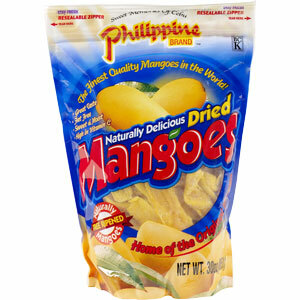 Good, soft, still-orange dried mangoes are hard to come by. And they're expensive. Now, we buy the huge zipper bag of them at Costco. Ben is in heaven. Last evening, 15 minutes before people were due to arrive for a meeting in our house, Todd and I were on our hands and knees, crawling around the living room floor... hunting. The gas fireplace was making an annoying beeping noise and we were looking for the remote control to fix the problem. Normally, the remote is always in the cupboard above the oven. The most logical place, right? Well, I put it there to keep it out of reach of little hands. Just that morning, I was chilled while getting the kids ready for school, so I turned on the fireplace. For some unexplained and can't-be-that-important reason, I didn't immediately put the remote control back in its hiding place. The next time I looked, Madeline was carrying it around the living room. I remember thinking to myself, "That's not good." But I was busy doing something else and didn't rush over to take it from her. 12 hours later, the fireplace was beeping, people were parking, and the remote was missing. We dumped out her toy bin, felt between all the couch cushions and looked in all the cupboards, but we did not find the clicker. Todd managed to access the power switch to at least get the beeping to stop, but we didn't have a fire for the meeting. The meeting itself was long and arduous. Afterward, I just wanted to get everything picked up and put away so I could pick myself up and put myself away. I was making room on a shelf in the pantry when an open box of Pop Tarts fell. I bent to pick it up and saw the fireplace remote control inside the box! Why hadn't we thought to look there? ANNOUNCING: My niece, Lucia Marie! She was born just before 9 this morning, a mere 48 hours or so after arriving at the hospital in her mommy's belly. Turns out Lucia was mighty comfy in there, and well fed, I might add, as she made her earthly debut at 9 pounds 1 ounce and 21.75 inches! Mom Kristin and Dad Ted are over the moon, as are the rest of us. Elisabeth said, "Lucia is my best cousin EVER!" (Sorry, Kazmer, Solomon and Oliver.) Later, she asked me, "Do you want to know why I love Lucia so much?" When I said I did want to know why, Libby said, "Because she's a girl and because she's just like me." Even though I have three girls, my sister has all boys, so the terms "girl cousin" and "niece" are very new to Krinkeland. The cheeks! The thighs! The kitten-like cry! The curly hair! The new-baby smell! Oh, how we love Lucia already! I've had my eye on this ring at Target. I know, even for those die-hard Target shoppers, the jewelry counter isn't usually a hot spot. But, for whatever reason, this one ring really caught my eye. It's costume jewelry, for sure, but a wide 14-karat-gold-plated band with inset stones. I'm drawn to it every time I walk by, and this ring has made me rethink my stance on: never buying myself jewelry (better to let my husband do it) and never buying costume jewelry (if I'm not going to buy much, it might as well be the good stuff.) So, naturally, I was waiting for it to go on clearance. ...AND IT GOT STUCK! Yep, it slid right on and there it stayed. Now, I was planning to buy the ring, anyway, but not to wear it out of the store! I had just arrived at Target and had a few other necessities to pick up. If I pushed my cart around wearing the ring, wouldn't someone think I was shoplifting? Plus, the ring was still connected to the ring box by this little plastic loop, so I couldn't very well walk around with a blue, hinged ring box dangling from my hand, could I?! I tugged and tugged, but nothing worked. I tried shaking my hand and twisting the ring. Soon, I imagined all eyes in the store on me and I started to panic. Finally, I surrendered and licked my finger. I finally got enough spit on the digit that I was able to pull off the ring. Then, I decided I didn't want a spit-upon ring. After making sure no one was looking, I put that one back on the display and picked up one of the others. Thank heaven the kids weren't with me, or I'd have never gotten away with it. Can you believe I'm telling you this?! Add it to the list-- one more reason you can be glad you're not me. I try not to blog about the same subjects over and over again. But some events so greatly impact our lives, they deserve to be mentioned annually, if not more often: Christmas, my kids' birthdays, Tax Day, the anniversary of Roe v. Wade. Today is the 38th anniversary of the Supreme Court decision legalizing on-demand abortion. This ruling goes against the inalienable rights set for all of us, at any age or stage in our lives, by the Declaration of Independence: life, liberty, and the pursuit of happiness. 38 years. Millions upon millions of babies murdered. Double that number of parents scarred. We cannot be silent. We cannot stand idly by. If nothing else-- and with everything else-- pray. Pray. Pray. PRAY. *Some states are considering measures similar to a Nebraska law passed last year, outlawing abortions after 20 weeks of pregnancy, based on the assertion that fetuses can feel pain after that point. That's a departure from the standards set by the Supreme Court decision Roe v. Wade, which allow states to limit abortions when there's a viable chance the fetus could survive outside the womb, generally between 22 and 24 weeks. *Proposed bills require women to have ultrasounds prior to abortions. Some versions would also require doctors to describe the ultrasound image of the fetus to the woman. *Other proposed laws prohibit abortion coverage in health insurance plans offered by the new state exchanges that are to commence in 2014 under President Obama's health care overhaul. Five states passed such measures last year; more may follow suit. Oh, and I like this article, too. Twice this month, the toddler has been the subject of "Show-and-Tell"-- once in third grade, and, today, in first grade. On one hand, I'm glad the older girls are proud of their sister and want to show her off. On the other hand, it's kind of a pain for me, and, frankly, I don't really get what's so interesting about her. And, since the girls go to such a small school and I try to volunteer, their classmates see Madeline wandering around the building all the time, anyway. Libby's teacher said, "I think it's nice she wants to bring her sister for show-and-tell-- the siblings must be close." She made special accommodations in the schedule for us to visit after lunch. Maddy was ready for her nap and didn't do much more than stand and stare at Elisabeth and her classmates. Apparently, for first graders, this is four-star entertainment. They loved it! I know it seems I often mention Madeline's vocabulary, or lack thereof. I hope I don't come across as a totally neurotic mother. (I am.) I have no concerns about what the girl understands... but I really cannot understand her. Maddy's main method of communication is still pointing and screaming until we figure out what she wants. Sometimes, clear as day, I'll hear her say, "cheese" or "juice" or "hi." But most of the time, she's speaking in tongues. Madeline's older sisters call her "Goka-Hoka." This is apparently some reference to Maddy's unique language and the way she sounds when she speaks. One thing Madeline absolutely does not say is her own name. I distinctly remember Amanda calling herself "Ama" at this age. Maddy doesn't even say, "Mine!" However, she does find plenty of other ways to show possession-- grabbing, hitting, biting, hiding under a blanket, hiding behind a door. I sat with Madeline for the longest time, pointing to my chest and saying, "Mommy" and then pointing to hers and saying "Maddy." What?! It worked with "E.T." in the movie. Maddy watched me like a ping-pong match, but said nothing. When I finally stopped, because I felt like an idiot, she leaned over and looked down my shirt. Then, she looked in the pocket on the bib of her overalls and seemed really disappointed to find nothing there, either. I don't know if this will sound like I'm boastful or mortified... I assure you, I am neither. I can't really say, however, what it is I am. Surprised? Curious? Happy? You see, now it's Elisabeth. While getting their things together to head off to school this morning, my first grader suddenly ran back upstairs to her room. 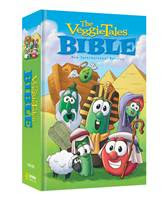 She returned with her Veggie Tales bible. Since the girls attend a religious school, it would not be crazy to think she might need to bring her bible. However, since the girls attend a religious school, those materials are typically on-hand, and I've never before known the teachers to require students to bring bibles. So, I asked. "No, Mom, I need it for the bus." Quizzical expression crosses Mom's face. "Well, since Amanda has been giving (the neighbor girl) religion lessons, (the girl down the street) asked if I would teach her, too." I asked for clarification, since I do not personally know the girl or her family but I believed her to be about a fifth grader. "Yes, Mom, she is. I'm teaching her about God on the bus." Once she headed out to the bus stop, I started getting the little ones ready to go to school for weekly mass. Amanda was reading scripture. 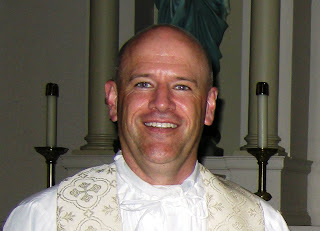 The priest's homily was on just this subject-- encouraging them all to bring people to Christ. A coincidence? There is no such thing. The pastor used the fishing analogy and asked the students what was the most important thing they needed when out in a boat. Of course, a little one said, "A life jacket!" Finally, an older child piped up with, "Patience." Apparently my girls have that, along with the necessary Veggie Tales bible, a captive audience, and a nice, long bus ride. Where's Dr. Spock When You Need Him? Dr. Benjamin Spock was an American pediatrician and child-rearing expert who wrote the book on parenting. He died 10 or 15 years ago. I've never been a "book parent" and don't really look to the experts for advice on raising my children. Oh, is it that obvious? *If something my child is doing doesn't bother me but appears to be annoying someone else, how obligated am I to make her stop? *At what age can a child be responsible for trimming her own finger- and toenails? *What should I do if my child doesn't eat the lunch I pack? *What should I do if my child doesn't eat, period? *Is it bad to send my kids outside to play if the wind chill is below zero but they are driving me nuts and really want to go? *If my child is late for preschool, is that setting a horrible pattern for the rest of his life? *If my toddler screams every time I put her in a shopping cart, and the only way to get her to stop is to ply her with candy or take her home, am I letting her win? In that instance, how do we get milk and toilet paper? *Why do all four of my children know how to operate the home's electronics better than I do? I turned on the TV while folding laundry, and started watching "What Not to Wear." It's a TLC series where two style experts ambush someone whose clothing and general appearance is lacking, whisk her (or him) off to New York, and help the victim shop for a modern, more flattering new wardrobe. It's not award-winning art, by any means, but the general message is that you should love your body no matter what and find ways to play up your best features, so it could be worse. I didn't think much of it when the older girls wandered in and started watching. During a commercial break, Amanda turned and said, "Mom, I think Libby and I could be on a 'junior' version of 'What Not to Wear.'" I responded, "Oh, no, Honey. I don't think you would qualify. Both you and your sister have wonderful senses of style." Amanda replied, "No. I meant, we could be the experts." *Please pray for Ricky, 25, and his family, upon his sudden death following oxygen deprivation due to a grand mal seizure. *Soon and very soon, we will have a new addition to our extended family. My SIL is nearly done cooking her baby; he or she will arrive before the month is out. That said, we all know a due date is an estimation, just another day-- so don't bug her! *Coincidentally, this coming Saturday marks the anniversary of Roe v. Wade. I am beginning to volunteer at a nearby Birthright pregnancy center. And this is also a busy time for another organization dear to my heart, Missing GRACE Foundation. Pray, pray, pray for an end to abortion. *Rehearsals for the first Saints on Stage production, "The Music Man Junior" are underway. Things have not gone without a hitch, but they are going. Many, many thanks to the dedicated volunteers steering this program and navigating the bumps along the way. If you are looking for ways to help, please click over to the Saints on Stage blog. We are especially in need of materials donations, which are listed there. *When playing Bananagrams with my 7- and 8-year-old, be prepared to face off against words like "uvula" and "lactose-intolerant." And, yes, they can use them in sentences. I know where we live. I know what time of year it is. But, this is ridiculous. God told Noah to build an ark before all that rain came. Please, anyone, did you get the memo that you were supposed to build a luge track? Train a team of sled dogs? Buy a snow plow? I don't even know if my car goes faster than 30 mph anymore... I've decided to throw out all my clothes and shoes; all I need is my parka and my boots... It's just as well I never did my hair, anyway. I'm now waiting for the day when Benjamin looks out the window and declares, "Look, Mom! It's not snowing!" Benjamin is very interested in talking about people's ages-- he still has no concept of adult years (one day thinks I'm 13, the next day thinks I'm 80) but he loves to talk about kids' ages, such has how he's four-and-a-half and Oliver is two-and-a-half. This line of conversation generally morphs into how old each person is going to be on his or her next birthday. This morning in the car, he started in, "Gua (his great-grandma) is already 95. That means on her next birthday she'll be 96. Then, she'll be 97. Then, 98. Then, 99..." He stopped. I prompted, "How old will Gua be after she's 99?" Ben said, "200!" Benjamin is never really in a hurry to get to preschool. Partly, it's because "Handy Manny" is on. Partly, it's because Mommy has a tough time getting going in the morning, too. It's not that Ben doesn't like to go to school-- he does. He simply is not too worried if he misses the first 10 minutes of play time. To tease him, this morning Ben's preschool teacher presented him with a red "tardy slip." Ben took it from her, clutched it to his chest and said, "Thank you. I love it." I do not know how working parents do it. I mean that-- not, like, fakey-falsetto, "Oh, Grace, I just don't know how you do it!" I'm talking, I cannot fathom how families function when both parents are working full-time in their professions and also attempting to care for children and maintain a household. As things have been gearing up for this school theater program, my role as a parent volunteer has been ramping up, too. I'm not complaining... That would be pretty silly, now, wouldn't it, since I volunteered to take this on? But I, along with the other parent volunteers, am working really hard. It feels like a full-time job. Breakfast dishes sit in the sink. The laundry doesn't get done. I haven't been to the grocery store in two weeks. I'm yanking the little ones out of bed in the morning to get my errands done. I'm yanking them out of bed in the afternoon, cutting short naps so I can get to the school for rehearsals. Someone asks, "What's for supper?" And I respond, "I have no idea." Todd is also working on the show, in addition to his more-than-full-time-job, along with assistant coaching two basketball teams, and clearing the driveway of snow every dang day, it seems, and fatherhood, and husbandhood. We find we are up late at night, both typing away on separate computers. Pretty soon, one of us has a question or a problem and, before we know it, we're arguing. But, in every conversation is a phrase something to the effect of, "I'm not mad at you! I'm just under a lot of stress!" For us, this is an unusual situation, but a temporary one. There is a lot of ground to cover in starting this theater program. With rehearsals underway and preparations being made for the first production, things will get even crazier, until the performances happen, and then things will calm down again. 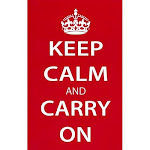 But, for a lot of families, where both parents hold full-time jobs, I imagine life must feel this frantic all the time. Todd and I both worked very hard and saved a lot in the years before we had children. We were planning, so when our family did come along, we were prepared. Still, especially in today's economic climate, I feel so fortunate that Todd is able to support and maintain our entire household on his income. I try to never take that for granted. And I am excited about the theater program we are working to establish and grow for the kids' school. I think the lessons and experiences they all will have are valuable and important for their futures. And, I hope we will all have a lot of fun. It is exciting, thrilling even, to watch them learn and grow and explore new facets of their personalities. Still, the work that must be done, and the responsibility that comes with it-- these weigh on me. At least a couple times a day, I think, "Sorry, I was joking. I don't want to do this anymore." Today really felt like that. I've been working so hard and really trying to do a good job. But, this is new to all of us, and we're bound to hit some bumps along the way. The morning was bumpy. But, in the middle of it all, I got an email from Amanda's teacher: "My note from my sub told me that Amanda was very helpful and well behaved. No surprises there. (she may be my sub next time!!)" Now, I just need to find time to sit Amanda down and tell her how proud I am of her. My brain is so fried from this jump start week of Saints on Stage and "The Music Man Junior"-- I haven't even had other thoughts in my head, much less time to organize them into a blog post. I was just getting ready to write something really lame when my brother sent me this link: Greater Good Photography. Yes, the January 2 post, "Two Weeks Away" is Kristin and Ted and Babe-in-the-Belly. It's so silly when people use terms like mom-to-be and baby-to-be. Clearly, they already ARE! Amanda says she hopes the baby is born on Martin Luther King Jr. Day, so he or she will have a "holiday" birthday like Madeline does. (Maddy was born on Earth Day.) Or, she said tomorrow would be good. Can't wait to meet my new niece or nephew. Can't wait! Our latest little claim to fame is that our church priest has been appointed chaplain of the state Senate. The new senate majority leader in the state legislature is from our parish community, and tradition states she names the Senate chaplain. He'll still be the same, good dude to us, though. Read a little more, here. At the lunch table, I asked Elisabeth whether she wanted regular milk or chocolate milk. She answered, "I have no preference-- whatever is more convenient for you, Mom." Have I told you how much I love musical theater? If not, I bet you could guess. I've been so wrapped up in the drama of my own week, I nearly forgot about tonight's tickets to see a national touring show of "Billy Elliot." It was awesome. Not quite as awesome as "Wicked," but still well worth the price of admission. Oh, how I wish I could dance. What have I been doing with my free time? I've been working with a small group of parent and grandparent volunteers to establish an extracurricular theater program at the girls' school. As of tonight, we have cast our first show. "The Music Man Junior" will have 90 (not a typo) actors and an additional 28 students helping out in backstage and offstage roles. No small undertaking, I tell you. For more information on the Saints on Stage program, our inaugural production, or the cast list, check out this new blog: Saints on Stage. Let me now take off my Producer hat and replace it with my Mommy one: Amanda and Elisabeth both auditioned for the show. I am proud to announce they were cast-- well, to be fair, we cast everyone who tried out-- as Amaryllis (Amanda) and Gracie Shinn (Libby.) This is going to be interesting. "You pile up enough tomorrows, and you'll find you are left with nothing but a lot of empty yesterdays. I don't know about you, but I'd like to make today worth remembering." --Harold Hill in "The Music Man"
Tuesday is Library Day for both my girls' classes at school. When we go through their school bags, reviewing the papers that come home and hunting for homework, I like to see their literature choices. They have a wonderful media specialist, who I know helps the children find books in their interest areas, and at appropriate reading levels. Still, sometimes the choices pique my interest. Now, what's not to like about this list? Nothing, of course. However, I'm sure this is at least the third time this school year Amanda has checked out that "Illustrated Book of Saints." Since she has also been telling me lately how much she would like to become a saint (but has no concrete plans to get her on the path to sainthood) I had to ask. "What's with the books, Amanda? I mean, I'm glad you like to read about religious leaders in the church, but I also know you have other interests. And, you check out that one book so often... Don't the other kids deserve a chance to read it?" Amanda explained, "I'm teaching (the neighbor girl) religion." Suddenly, I remembered the girls at the bus stop recently, rehearsing the Sign of the Cross. I have no idea about our neighbors' religious persuasion, whether they belong to a church or espouse any certain beliefs. But I guess there are worse things my kids could teach the neighbor girl. Did I ever tell you about the first boy I kissed? He became a priest. Benjamin is somewhat consumed by time, measuring time, comparing time periods, assessing amounts of time. Many of his questions begin with, "How many minutes..." or "When I was a baby..." The only time he does not refer to time is when traveling by car. Then, he asks, every trip, without fail, "How many roads until we get there?" I don't know why he does that. It's another weird thing about him. "Mommy can't answer that, Ben. She can't tell you because she wasn't there when you were born. You weren't born to her because you are adopted. You really are. Mom had to adopt you because she is an alien and she couldn't have babies. You were born to another mother and then Mommy adopted you. Mommy is an alien. It won't do any good to ask Mommy if that's the truth because she had to sign all kinds of papers when she adopted you. She can't tell you the truth. She'll lie and say that you were born to her and you are her real son. But that's a lie." When Libby finished, I just looked at Ben and smiled, and he smiled back. Much as I want to paste my children sometimes, I love that they all have such colorful imaginations... and I love that they get each other. We spent New Year's Eve at the home of some friends. Well, they used to be our friends... that is, until I brought the horns for the kids to blow. Hopefully, one day, after the ringing in the ears ceases, they will forgive me. Needless to day, on New Year's Day, we had a tough time getting out of bed. We were all a little worn out from the festivities. But, there was more fun ahead, as January 1 is the day we celebrate Christmas with Todd's dad and his wife. So, all it took was me whispering two little words ("more presents") into the kids' ears, and everyone was up! We enjoyed a lovely day, where we ate too much, the kids chased the dog, everyone napped, and yes, there were more wonderful gifts. Still, I'm asking myself, is it actually 2011? This "teen" decade is going to be a fun one in Krinkeland. The first decade was our child-bearing time. Now, we are full-board into child-rearing. This is going to be fun. Happy New Year!